So pretty and vibrant. 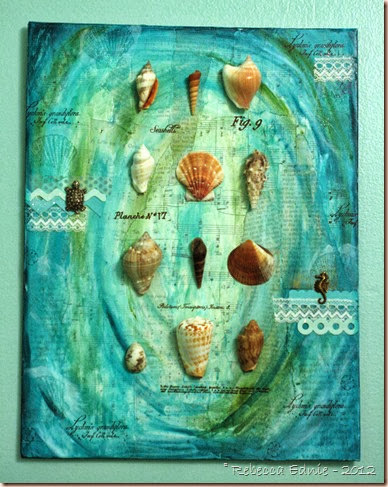 A wonderful showcasing of beach treasures. 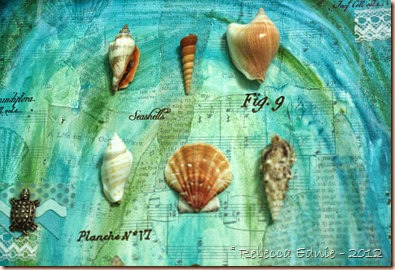 Are these shells stamped, they look so amazingly real! Thanks for commenting on my blog! 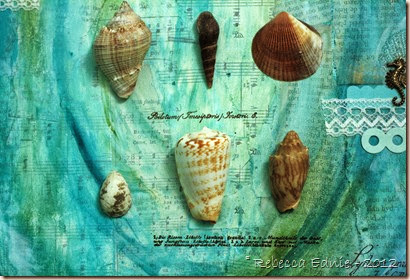 This canvas is so beautiful Rebecca! 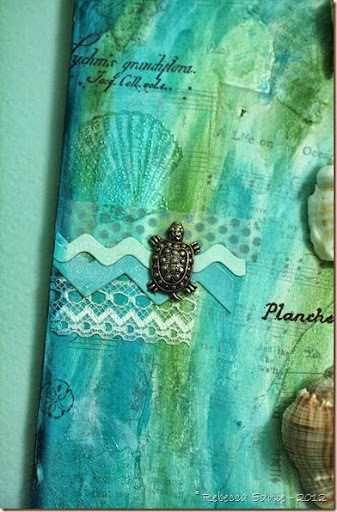 I love the background with the text paper, all the textures, shells and more. All the shells are so pretty and I really like how you arranged them. Thank you so much for sharing with us at Simon Says Stamp Monday Challenge Blog!! This piece is absolutely stunning! You have brilliantly swirled around the most beautiful colors ever known to man and I love the specimen-like display of your sea shells. It creates this really neat mix of swirly-artsy and linear-scientific. I loved the texture you brought in and the various elements that give it a sense of sophistication and whimsy. Your powder room's going to be housing some seriously AMAZING artwork! 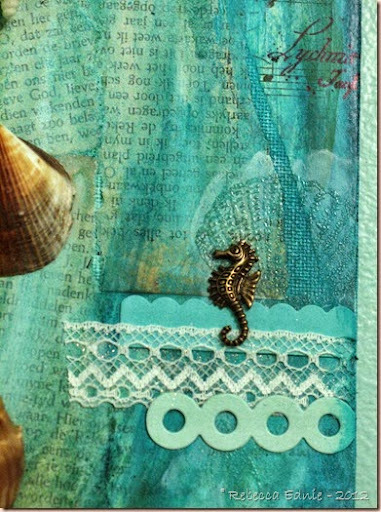 Thank you for sharing your talents with us here at the Simon Says Stamp Monday Challenge Blog!